After getting a sizable amount of snow last week and with more arriving Tuesday, Sierra-at-Tahoe ski resort has decided to open Friday, Nov. 30 for the 2018-19 season. For opening day, Sierra-at-Tahoe is scheduled to open Grandview Express lift, Nob Hill and Easy Rider Express, as well as Magic Carpet. Sierra-at-Tahoe will have three lifts and one surface lift scheduled to operate, conditions permitting. Early-season conditions are present throughout the mountain and skiers and riders are asked to obey all signs and closures, watch for unmarked obstacles and to stay on groomed runs. Sugar Bowl is also scheduled to open Nov. 30. This week’s snow will likely mean more resorts will be opening for skiing and snowboarding. The first in the series of systems arrived Tuesday afternoon in the Tahoe Basin. After guests have enjoyed a few turns Friday, they are invited to join the Sierra staff at noon on Solstice Plaza to sample local brews from Sierra-at-Tahoe while kicking off the season with a toast. 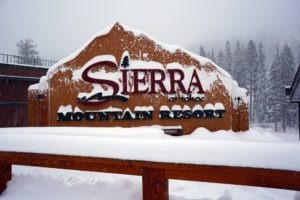 Sierra-at-Tahoe is scheduled to open Grandview Express lift, Nob Hill and Easy Rider Express, as well as Magic Carpet. 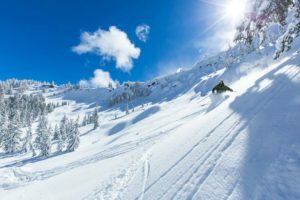 Sierra Snowsports School will be offering adult and children’s lessons, and snowplay at Blizzard Mountain will be available. The first hundred chairs on Grandview Express will be treated to a cup of Drink Coffee Do Stuff coffee and KIND Snacks while they take their first lift ride of the season. After guests have enjoyed a few turns, they are invited to join the Sierra staff at noon on Solstice Plaza to sample local brews from Sierra-at-Tahoe while kicking off the season with a toast. Dining will be available in Mama’s Kitchen, Java Junction and The Pub. Visit www.sierraattahoe.com for more information.